Few people will ever own or even ride in an exotic supercar such as the McLaren 570S, but at least tiny tykes aged 3 and under can have that experience in the ride-on version from Step2. 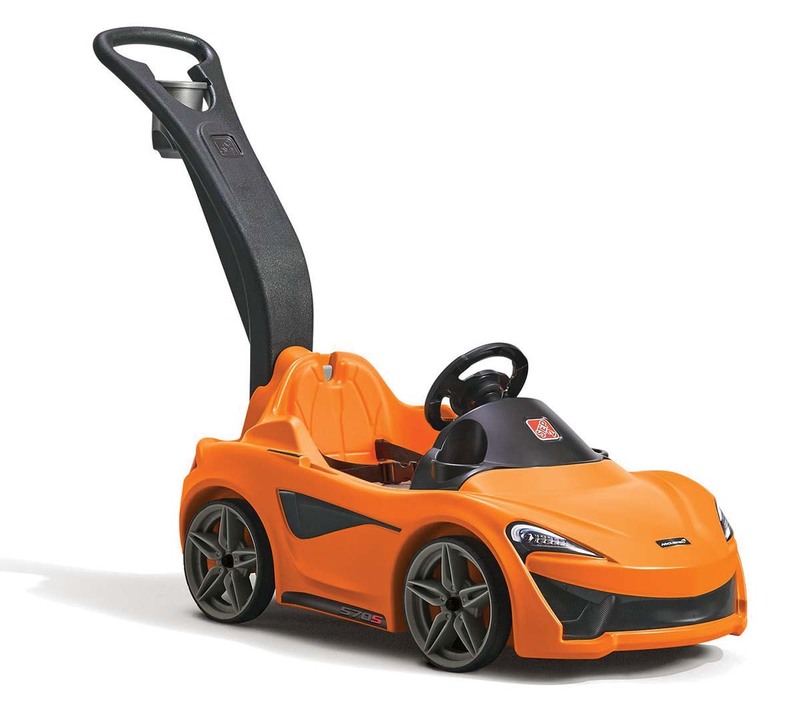 The company has teamed up with McLaren to create this neat sidewalk roadster with some very handy features that include dual (sippy) cupholders, a storage area beneath the seat and, best of all, electronic McLaren engine revving sounds that are activated whenever your youngster presses the horn button. For parents, the oversize handle, which also comes with its own cupholder, folds underneath the car for easy storage. Order one for $80 from www.step2.com.